Kate has a busy personal injury practice and undertakes work at all stages from initial advice through to trial. She is reliable, thoroughly prepared and a persuasive advocate. Kate is a contributor to Butterworths Personal Injury Litigation Service. Kate has a particular interest in disputes arising out of the Fixed Recoverable Costs regime and is regularly instructed to advise on and/or represent parties at hearings concerning technical costs/procedural issues. A significant proportion of Kate’s practice includes acting for NHSLAs, insurers, large supermarkets and, since her appointment as Junior Counsel to the Crown (Regional Civil Panel), she is regularly instructed by the Crown and various State Departments. She is available to provide advice in writing, in conference or by telephone as to prospects of success, quantum and/or tactics. She is regularly instructed to draft pleadings, schedules of loss and Part 35 questions. She is very approachable, and is always available to her instructing solicitors via telephone or email. Kate regularly appears in County Courts across the country representing parties in CCMCs, contested interlocutory applications, fast-track and multi-track trials and appeals. She also appears before a variety of other tribunals, including the Coroner’s Court and Criminal Injuries Compensation Appeal Tribunal. Kate has significant experience of claims arising out of accidents at work and in public places. She is regularly instructed by NHS Trusts, Yorkshire Water and leading supermarkets to provide advice and representation to employers at all stages, including on appeal. H v Wetherspoon Plc  – Representing the Claimant in an Occupiers Liability Act claim following a fall in a public house. Claim settled. B v ASDA Stores Ltd  – Representing Defendant at trial following the Claimant’s fall in the Defendant’s store. Claim dismissed. R v AF Blakemore & Son : Successfully represented the Claimant in an employer’s liability claim involving a fall at height from a defective tail lift. She is regularly instructed in occupational stress claims. Despite the complex chronologies and factual matrix of such claims, she is able to provide advices and/or settle pleadings within a short period of time. Kate is alert to the need to take special care and is sensitive when advising claimants in such cases. S v The Co-Operative Group : Representing the Claimant in a claim for negligence/breach of contract for bullying and mis-management of grievance resulting in psychiatric injury and absence. Claim settled. Kate has a growing clinical negligence practice. She has acted as junior counsel to Andrew Lewis QC on a number of occasions, including cerebral palsy and large loss claims. Examples of recent instructions include claims arising out of the delayed diagnosis of wrist fracture and negligently retained products of conception following a birth. Kate also provides representation at inquests into deaths following medical treatment and offers continuity of representation to families in subsequent civil proceedings. Kate regularly acts for victims of violent crime to secure compensation under the 2001, 2008 and 2012 Criminal Injury Compensation Authority (“CICA”) schemes. She is familiar with and will advise on the application of the schemes on issues of eligibility and quantum, and is regularly instructed to draft schedules of loss. Kate regularly appears before the First-Tier Tribunal. Kate is regularly instructed by Trade Unions to represent their members in such cases. Recent examples includes a claim arising out of historic sexual abuse which resulted in the Appellant suffering life-long and debilitating psychiatric injuries. The CICA offered the Appellant an award of £22,000 under the 2001 Scheme. The CICA disputed causation of the Appellant’s continuing symptoms. Special measures were required to enable the Appellant to give evidence. 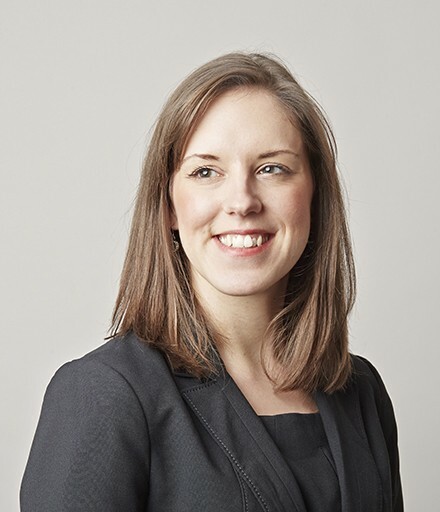 Kate successfully represented the Appellant at the final hearing, resulting in an award in excess of £200,000. “Our case was handled with expertise, professional care and most importantly to us, an personal understanding of our needs at the CICA First Tier Tribunal. Kate Wilson’s in-depth knowledge of CICA processes allowed us to have the strongest possible case and through it a successful outcome. We would highly recommend Kate and PSQB.” Client, CICA claim. Kate deals with all aspects of indemnity disputes including motor, businesses and property. She regularly represents major insurers in alleged civil fraud, low-velocity- impact (LVI) cases, credit hire, and exaggerated personal injury (PI) claims. Kate prides herself on her meticulous preparation and she appears on a number of insurer panels. She is regularly instructed to attend fast-track trials in such matters, in addition to maintaining a busy paper practice. Kate undertakes work at all stages and is happy to advise on procedure and tactics. She is familiar with representing defendants at contested interlocutory applications including: applications for specific disclosure, applications to strike out, applications to resile from admissions, CMCs, CCMCs, applications regarding medical evidence, and costs arguments. Kate is also regularly instructed in relation to applications regarding Qualified One Way Costs Shifting (“QOCs”) and allegations of fundamental dishonesty. She is prepared to advise and draft detailed defences in cases where fraud is alleged or imputed, or in suspicious cases where a robust defence is required. Kate is able to complete complex instructions promptly. Kate provides bespoke training to her instructing solicitors and members of the insurance industry. Kate’s interest in the Court of Protection and cases involving the welfare of vulnerable adults and those who lacked capacity began when studying Mental Health Law and Procedure at the University of Manchester, for which she was awarded the RG Lawson Award for Academic Excellence. Kate is prepared to advise on and represent adults who lack capacity in the Court of Protection and in claims which involve other areas of Kate’s practice, such as personal injury claims and matters involving trusts and property. Kate’s practice covers a wide range of commercial and chancery litigation, and she is regularly instructed in matters arising out of contractual disputes, sales of goods, and property disputes including nuisance and tree root subsidence claims. Kate is meticulous in her preparation and has a strong analytical approach. She is keen to develop her practice in these areas as well as in probate, Inheritance Act and TOLATA cases. Kate has broad experience of civil litigation involving all property and housing matters, acting for both public and private landlords as well as tenants and other occupiers of housing. Kate has a keen interest in work concerning the legal and beneficial ownership of real property. She has experience of advising, drafting proceedings and representing clients in cases involving adverse possession, boundary disputes, easements, mortgages, and trusts of land. Kate has experience of nuisance and in particular tree-root subsidence claims. Kate has a keen interest in housing litigation. Her practice covers landlord and tenant disputes, including claims for possession of land, unlawful eviction, disrepair and succession. She is often instructed to represent social and private landlords and tenants in claims with issues relating to harassment, breaches of covenants and nuisance. She has particular experience acting for local authorities and social landlords in obtaining injunctions arising out of antisocial behaviour and subsequent breach proceedings including committals. Kate’s civil practice includes advising and representing both landlords and tenants in respect of claims made under the Defective Premises Act 1972, Highways Act 1980 and Occupier’s Liability Acts. Claim involving the misrepresentation and misselling of solar panels. Kate accepts instructions to advise and represent clients in relation to disputes involving unfair and constructive dismissal, redundancy and breach of contract. She regularly appears before the Employment Tribunal and is keen to develop her practice in this area.